Although small in size, Vir island boasts of numerous sights. The most famous is certainly the Kaštelina, a sixteenth-century fort built by Venetians as defense against Turks and local pirates. Prehistoric ruins can be found on the hills of Sveti Juraj (Saint George) and Gradina. Among the local sacred architecture, the most important historically are the twelfth-century church of Saint George of the Banner and that of Saint John the Baptist, from the thirteenth-century. Romantic spirits will certainly enjoy the sunsets seen from the lighthouse area, which can be found in the west of the island. The island of Vir contains only three settlements: Vir, Lozice and Torovi. All of them can be found along the shore, in and around which are numerous coves and beaches. However, the most beautiful beach is understood to be in the Duboka draga ("deep cove"), far from any settlement, in the northwest of the island. Pristine nature and crystal-clear waters, combined with unique red rocks, make for an unforgettable spectacle of nature. Miljkovica and Donja Prezida are other very popular beaches. 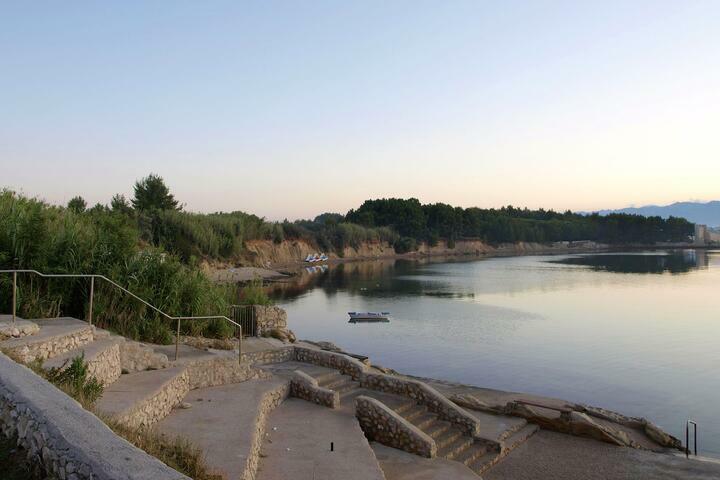 Sapavac cove, near the Kaštelina fort, contains a beach with therapeutic mud, located in the equally healing setting of a tranquil pine grove. Much of Vir is covered with olive and fig trees, interspersed with pines, which combine into an excellent backdrop for walks in nature. 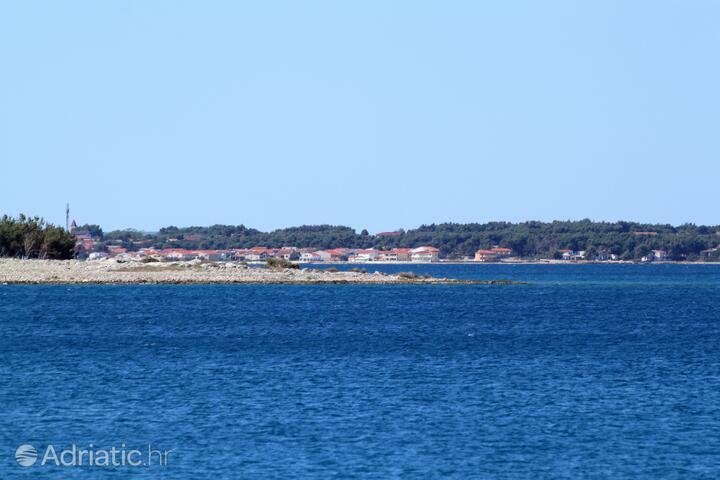 The small island of Školjić, just off Vir, is completely covered with pinewood, and its distinctive feature is its long sandy beach. Even though Vir is a proper island, its bridge makes for excellent connectivity with the mainland. 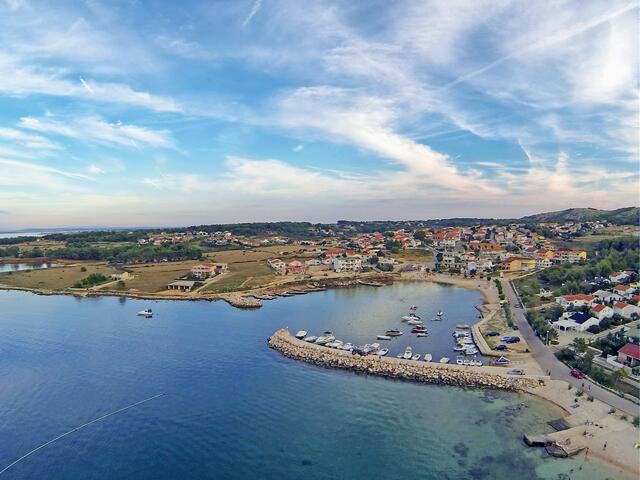 Of the numerous sites for day trips in the vicinity, the old royal town of Nin, containing the world's smallest cathedral, and the ancient Roman Zadar, with its impressive Forum, are both the nearest and the most popular. A bit further away can be found several national parks and parks of nature: Telašćica, Kornati, Paklenica, Krka and Plitvice lakes are all near Vir. The many cities in this region offer further opportunities to enjoy a diversity of entertainment.